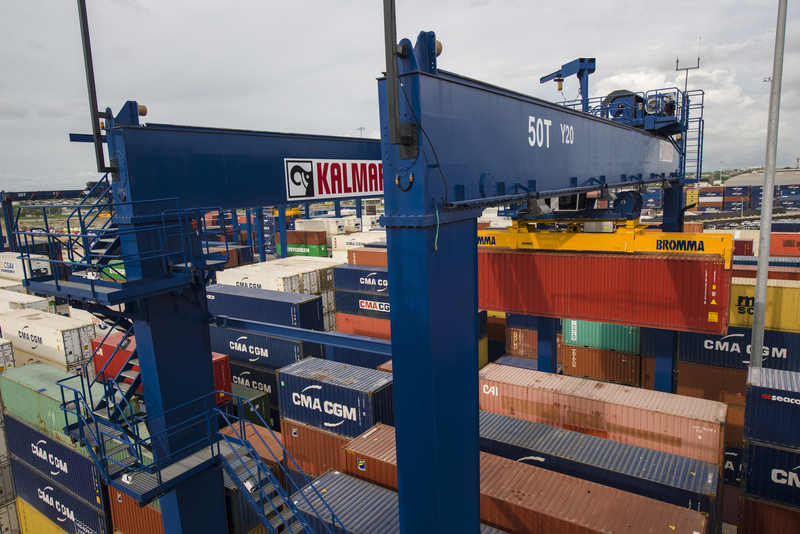 Kalmar, part of Cargotec, has won an order for seven rubber-tyred gantry (RTG) cranes following a call for tender launched by the Algerian port procurement company Groupement D'Interêt Commun Des Entreprises Portuaires (GICEP). The value of the order is approximately EUR 10 million. The order has been booked into Cargotec's 2016 fourth quarter order intake and the equipment will be delivered to the customer during the third quarter of 2017. The Port of Oran Container Terminal ("Port of Oran") is currently embarking on an ambitious expansion project and the Kalmar E-One² RTGs will provide the terminal with reliable performance, reduced fuel consumption, and an industry-leading maintenance interval of 1,000 hours. The delivery includes Kalmar SmartPort process automation systems: Kalmar SmartProfile, Kalmar SmartRail and Kalmar SmartFleet. Kalmar SmartProfile uses advanced laser technology to detect collision risks in a stack and automatically stops the trolley when a risk is detected. Combined with Kalmar's electromechanical anti-sway technology the risk of collisions is minimised. Kalmar SmartRail automated gantry steering system with Container Position Indication (CPI) automatically controls the gantry within centimeter grade accuracy on the travelling path and feeds the container coordinates to the Terminal Operating System (TOS), improving the terminal's operational efficiency. Kalmar SmartFleet remote monitoring allows the terminal to manage, troubleshoot and analyse the status, productivity and maintenance needs of the equipment. Mr SAIDI Mabrouk, General Director at GICEP says: "We have been extremely satisfied with Kalmar that is recognised for their reliable equipment and automation solutions that put an emphasis on efficiency and optimisation of equipment productivity. Therefore it was only natural that Kalmar continues to strengthen our operations and support our ambitions to expand." Timo Alho, Vice President, Intelligent Crane Solutions at Kalmar, says: "We are happy to see our Kalmar E-One² RTGs with SmartPort to join the most recent order of 25 Kalmar forklift trucks acquired earlier this year by GICEP on behalf of the port companies. We will continue to work closely with GICEP and look forward to our solutions playing a productive part in the future success of the Port of Oran." The order includes seven Kalmar E-One2 RTGs, each with a 45-tonne capacity, a six plus one span, and a hoisting height of one over five containers (ISO9'6" standard). GICEP is a group that coordinates the purchasing of the equipment necessary for the Algerian Public Ports including container handling activities.